One theme we’re going to return to over and over here is the bad science we see in media every day. Media needs content, so even bad studies with no control groups and self-reporting are trumpeted as news, which is one reason why we are assaulted by supposed proof of a diet or health question one day, then fed “proof” of the opposite the next. It’s all to keep you clicking and getting views to pay for the news site; the study promoters want the world to think their results are meaningful so they’ll get funding to do more. Incentives to hype are great, and so hype is what we get. You can learn to read the studies for yourself to understand which to pay attention to. Or you can read specialty publications that have a record of understanding how real science works so you can rely on them when they say a study’s conclusions are really valid. That’s what I’m trying to do here — I read all the press releases so you don’t have to. Design: A systematic literature search identified 15 RCTs and 9 prospective cohort studies that examined LCSs from foods or beverages or LCSs consumed as tabletop sweeteners. Meta-analyses generated weighted mean differences in body weight and composition values between the LCS and control groups among RCTs and weighted mean correlations for LCS intake and these parameters among prospective cohort studies. Conclusions: The current meta-analysis provides a rigorous evaluation of the scientific evidence on LCSs and body weight and composition. Findings from observational studies showed no association between LCS intake and body weight or fat mass and a small positive association with BMI; however, data from RCTs, which provide the highest quality of evidence for examining the potentially causal effects of LCS intake, indicate that substituting LCS options for their regular-calorie versions results in a modest weight loss and may be a useful dietary tool to improve compliance with weight loss or weight maintenance plans. So what we can see here is that self-promoters who wanted to show low-calorie sweeteners had negative effects on body weight and metabolism were citing poor, uncontrolled studies. They explained this supposed effect by claiming these sweeteners confused metabolism by triggering insulin release through their effect on taste buds, but there was no evidence of that. One plausible explanation for the studies showing weight increases for those who reported drinking diet sodas is that such people are already aware of their tendency toward weight gain, and are more likely to consume diet drinks as a result; other factors about them create the weight gain, and their knowledge of their propensity to gain weight is the cause for their choosing to drink diet sodas. Those other causes of weight gain continue during the study, so naturally this population gains more weight than the unconcerned. Learn to recognize the lies and distortions in the Conventional Wisdom, and chart your own course. 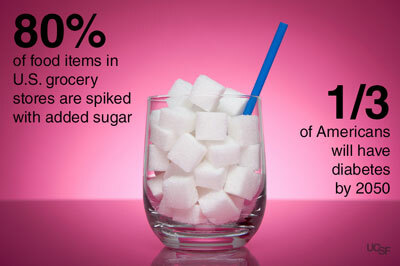 Now it’s likely true that simply drinking water or tea instead of any soft drink is the healthiest option. But for those who appreciate the carbonation and sweet taste of a diet soda, you should feel free to indulge, in moderation. Diet sodas are far better for your body than sugared sodas, large servings of fruit juice, or jazzy Starbucks or Jamba Juice concoctions.